I got the chance to meet Herald & Review photographer Danny Damiani to job-shadow him and find out how a typical day goes for him. I shot a few assignments with him, and here are some of my selects from the shoots. 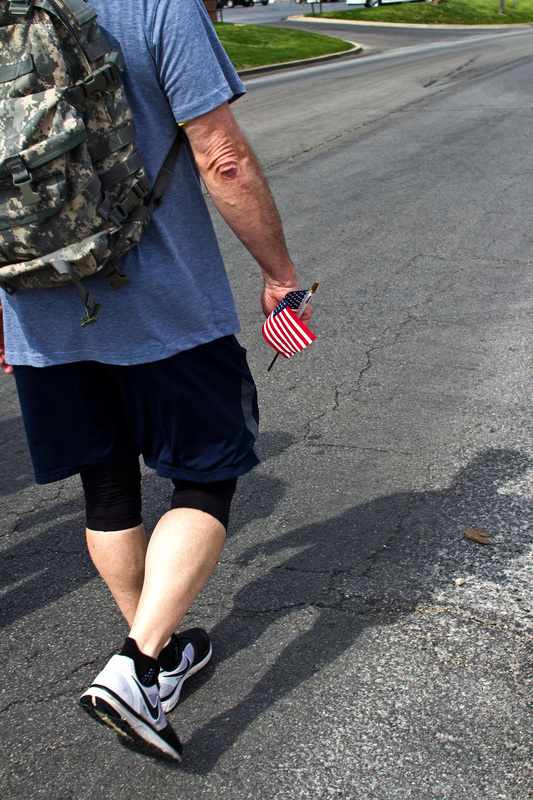 Vietnam War veteran Ron Stephens, of Decatur, Ill., begins his journey with fellow veterans Scott Hartman and Cody Floyd after leaving Dale's Southlake Pharmacy on May 24. Stephens kicked off his Warrior Walk for the third year in a row, heading for a final destination of Elwood, Ill.
From left to right, Ron Stephens, Scott Hartman and Cody Floyd, all veterans, converse as they begin their journey towards Elwood, Ill., on May 24 in Decatur, Ill.
Decatur Park District employees Jessica St. Pierre, left, and Britney Munos go over front desk responsibilities during opening weekend on May 24 at Fairview Pool. Jill Bundy, of Decatur, Ill., helps her daughter Miracle Schafer, 3, take off her socks before swimming on May 24 at Fairview Pool. Champaign Saint Thomas More's Michaela Ward, left, and Mount Zion's Morgan Engmann fight for possession during the sectional championship game on May 24 at Walter Boyd Field in Maroa, Ill. The Braves lost to the Sabers 3-2 as Champaign Saint Thomas More claimed their first sectional title in program history. Mount Zion's Jenna Platzbecker keeps the ball in play during the sectional championship game against Champaign Saint Thomas More on May 24 at Walter Boyd Field in Maroa, Ill. The Braves lost to the Sabers 3-2 as Champaign Saint Thomas More claimed their first sectional title in program history.